Cinnamon Toast Crunch Treats are the amped up version of Rice Krispie Treats. It’s breakfast and dessert rolled into one amazing bite. You read that right. 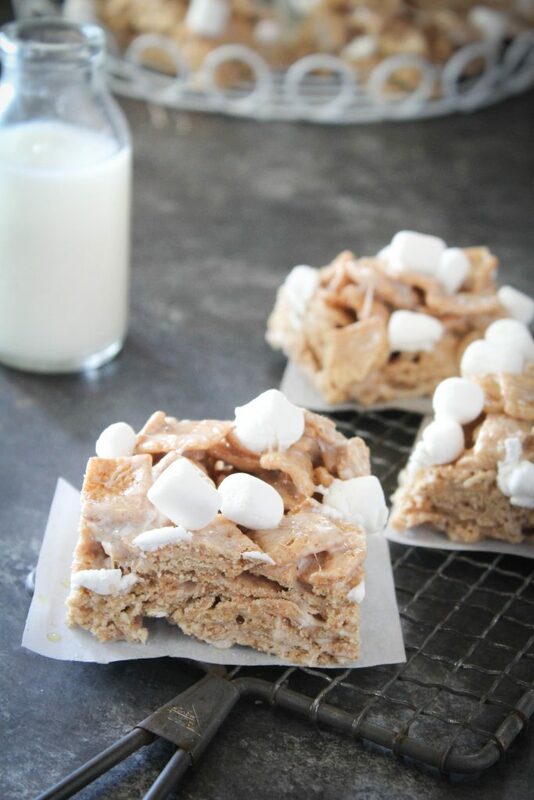 Browned Butter Cinnamon Toast Crunch Treats. 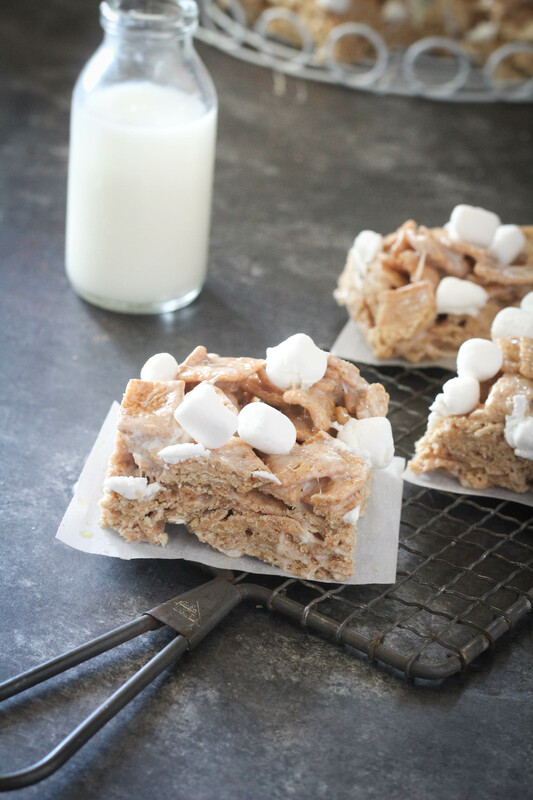 They’re the kicked up version of Rice Krispie Treats. There’s a small place that sells all kinds of treats: crepes, cupcakes, macarons – you get the picture. And one day they shared these blobs of gooeyness on their Instagram story and it stopped me in my tracks. I’ve never had Cinnamon Toast Crunch but just the thought of it made me go out and buy the cereal to make these. 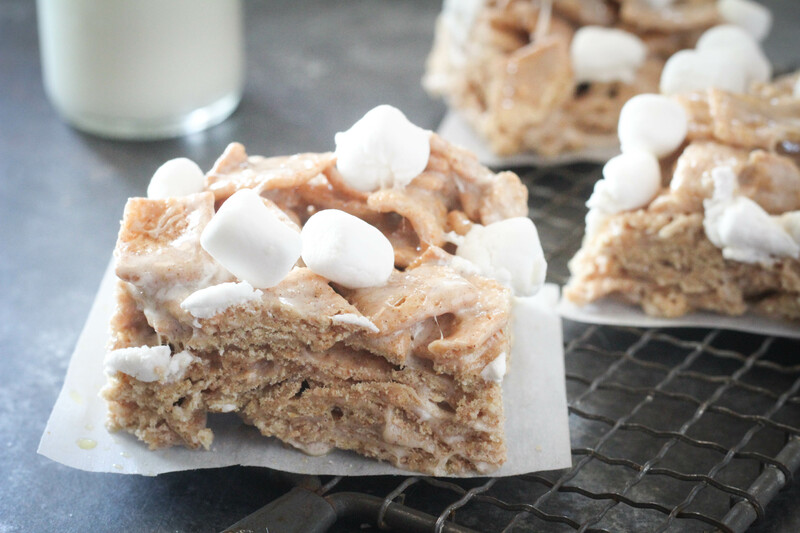 It’s almost like a cinnamon roll and a rice Krispie treat had a baby. A big ole sugar baby. Oh em gee these are divine. 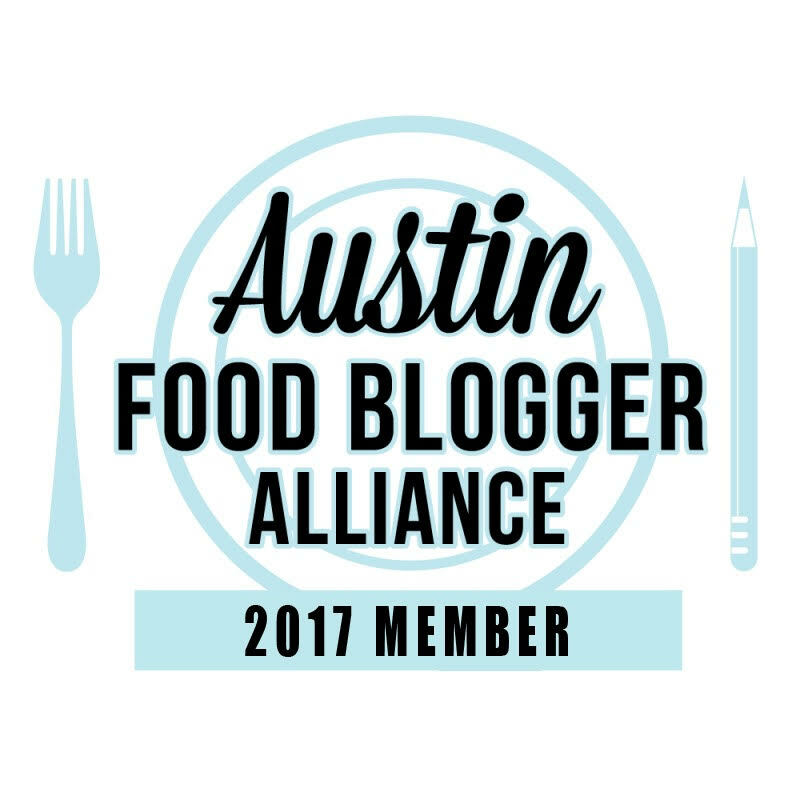 They have surpassed my beloved Rice Krispie Treats as a favorite treat. I can’t keep these in the house. I’ve made them three times now in the past month and I have to take them out of the house right away or I can’t be held accountable for what happens. In one version, I drizzled some chocolate on top but, seriously, these don’t need anything special. I put in extra mini marshmallows because I just love marshmallows but you could also leave those out. I’m kind of mad that I don’t have one in my hand right now as I write this. Also, please note that you can make these in a 9×13 pan or use a cookie scoop to put them in a well sprayed (with cooking spray) muffin tin. I found that the muffin tin gives you more in terms of serving but in the 9×13 pan, you get bigger treats. In a large soup pot, melt butter over medium heat until butter is melted and browning. Turn down heat and add marshmallows. Mix together until melted. Take off heat and add cereal. Fold into marshmallow mixture. Spray your 9x13 pan or two muffin tins with cooking spray. Gently put mixture into pan or muffin tins then put aside for a couple of hours to set.